Do you need a heartwarming romantic Valentine’s Day images for your gigs? Get a set of 35 Valentine’s graphics templates celebrating love and add a special holiday mood to your works. All items from this set are bright, sweet, and pleasant for an eye. Nice graphics, accurately chosen fonts, nice background photos, neat patterns and artistic brushes will make your works memorable and sweet. You can easily personalize these Valentine’s Day images. With some minor changes, they will turn into perfect greeting or invitation cards for various occasions: wedding, anniversary, birthday. It’s easy to make them special with a single touch and make them look unique and personalized. 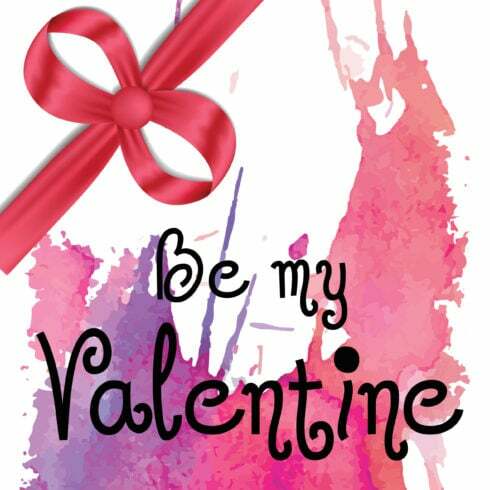 Be the first to get Valentine’s Day images and send your love. $25 for a bundle full of love, romance, and sweet mood. Define a Valentine’s Day Images Bundle: 35 Amazing Templates? If you are a graphic artist taking care of several projects concurrently, you understand the need for the entire bunch of design items available at hands. Trying to find them separately, you may spend whole lot more time and cash as a result. To get all the desired elements in a single package, we highly recommend trying graphic package deals. A bundle can be described as a selection of digital design elements needed for graphic design, valued for a large amount of money, however sold at a significantly reduced price for a limited time. 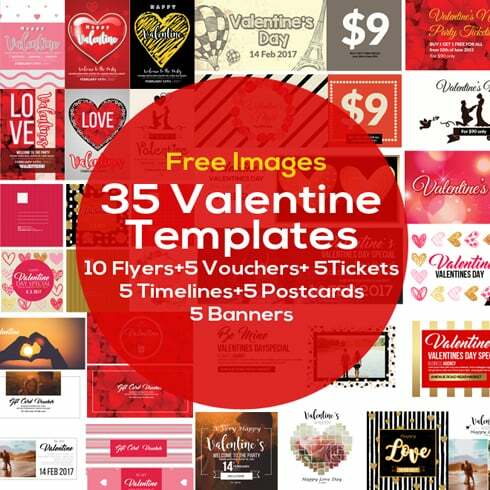 How can you spend less on Valentine’s Day Images Bundle: 35 Amazing Templates? Do you want a 5% extra price reduction on any package from MasterBundles? Well, it is not that hard. All you need to do is merely share the web page with a package deal on social websites (Facebook). For what reason are graphic bundles consistently profitable? For any design project, you will need lots of components – a few icons, a font, a few images, and so forth. If you’d wish to buy all of them one at a time it will cost you a lot of money! So, for this reason expert web designers usually go hunting for some graphic bundles to buy. They permit ending up with a big handful of different elements for a very modest price tag. Since all the bundles differ from one to another, almost every graphic designer will find the appropriate collection for a unique project. Browsing them you’ll discover the selections including social media infographics, PPT templates, business cards, UI kits, and much more. On MasterBundles.com marketplace, you can find in excess of 450 graphic bundle deals available. That being said, you’ll not have even a chance to leave the website without a bundle or two. Any additional deals on MasterBundles.com? The deals of stock photos, icons, patterns, logo templates and textures are out there . Additionally, you’ll find the full bundles of WP design templates, training and e-books, resume templates, ppt slides, and other elements. The watercolor package deal is found to be the most beautiful novelty in design. Painted by designers on the paper, the images become scanned and included in a package as templates for design projects. Watercolor components are just perfect for posters, blogs, wedding invitations, DIY and greeting cards. In the digital era, we spend half of our everyday life within social networks like Instagram. Regardless of what objective we try to achieve on this platform, we wish to be noticeable in a crowd among countless identical accounts. By using premium Instagram design templates offered at MasterBundles, you don’t have to spend eternity while building the outstanding appearance of your Instagram page. One of many package deals will certainly let you focus on the artistic appearance of your Instagram page. Articles on blogs which feature infographics are much more legible and trendy than those that don’t. A professional package for infographics is most effective because it provides a ready-made option. The graphic designer only has to combine the images and there you are! The infographic is all set. The creative designers who like to utilize photos will be certainly excited about the photo overlays packages. They consist of multiple design elements used to decorate and alter the photos. This type of decorative elements is commonly laid across the photos to create some new and interesting look. MasterBundles.com carries a substantial variety of packages, full of photo overlay elements. Whether you feel like you have lost plenty of time when researching different tools and components for your current design projects, it is a high time to explore MasterBundles.com. It is a marketplace providing the most widely used instruments (graphics, icons, fonts, presentations etc.) for designers, online marketers, and web developers at a reasonable price for a limited time. Besides, you may use coupons and promotional codes for particular deals. In order to not miss out on major information about the future promos, we recommend reading our blog and signing up for the newsletter.